From 25 foot Great White Sharks devouring swimmers, to colossal radioactive reptiles demolishing buildings, monsters have always been a popular movie subject in Hollywood. Pitting the protagonist against a giant, seemingly invincible creature has been an appealing scenario for the audience since the Biblical tale of “David and Goliath”. 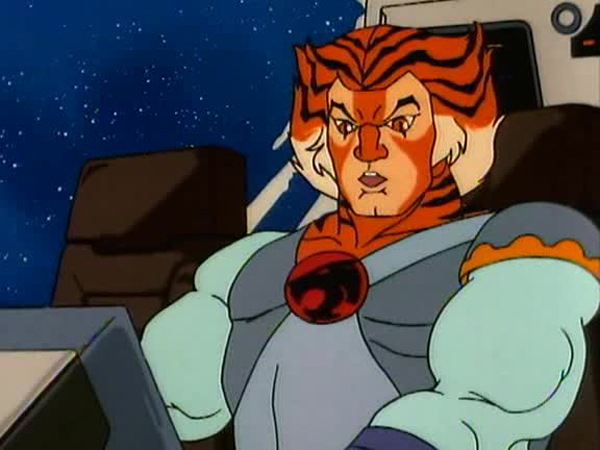 In this episode it is the ThunderCats turn to take on a colossal foe. 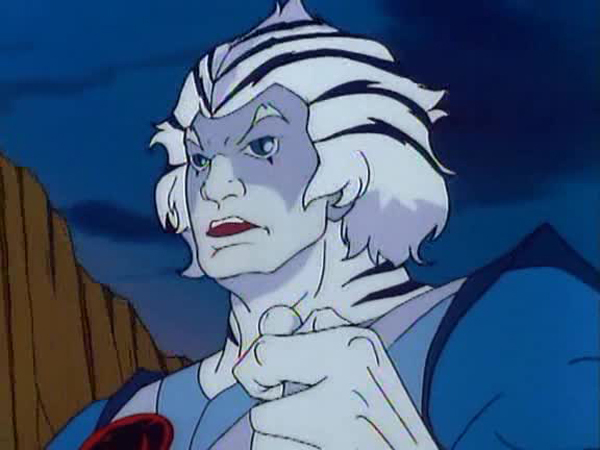 While on his way to New Thundera in the Feliner, Panthro warns Tygra of a massive meteor shower in his flight path. Letting his impatience get the better of him, Tygra chooses to forge ahead but plows right through the interstellar hailstorm where he is greeted with a fierce meteorite whirlwind which sends him spinning out of control. He eventually crashes in the unexplored territory of the Mosslands on New Thundera. Before Tygra can take-off again, he is attacked by the eponymous 100 foot moss covered monster. This particular scene is brilliantly executed with the suspenseful build-up before the attack and chilling background music. The Mossland Monster’s ability to regenerate severed limbs and see through Tygra’s invisibility give it the upper hand and just a single blast from its eyes turns the striped feline into a lump of moss! 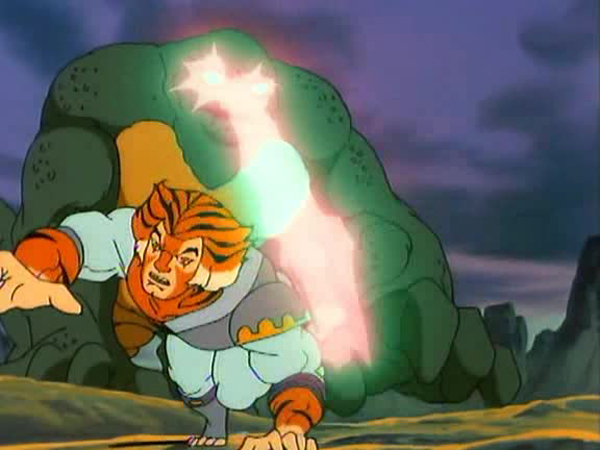 Lion-O, Bengali, Snarf, and Snarfer come to the rescue in the ThunderTank but the monster’s apparent immunity to all of their attacks makes them realize the gravity of the situation. Fortunately, Jaga is close at hand and advises Lion-O to summon the Stone Giants for help, which he promptly does just before the monster turns him and his three friends into Topiary art. The Stone Giant arrives, armed with the Sword of Omens thrown to him by the partially mossed over Lion-O, saves the day by turning the Mossland Monster into pea soup. Apparently a walking stone gathers all the moss! 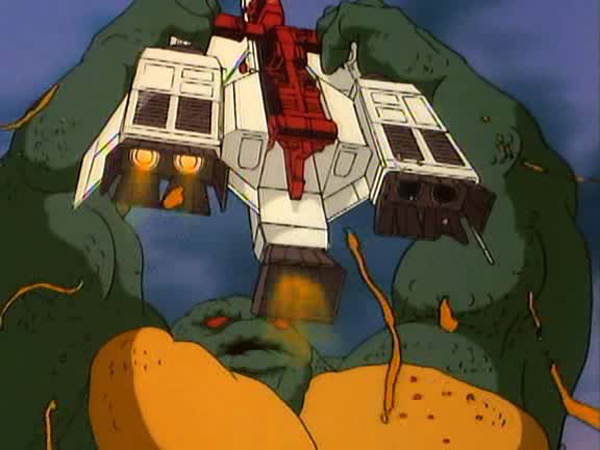 Even though the ThunderCats have faced gigantic opponents such as Spidera, Warbot, the Rock Giant, and the Wolfrat (the last one seeming massive in comparison to the diminutive ThunderCats), the writer avoids monotony by making the titular behemoth a separate entity rather than being a part of Mumm-Ra or the Mutants’ evil scheme. Here we have the Cats battling a freak of nature with no apparent agenda or weakness. Keeping the creature’s origin a mystery helps to make it more fearsome. 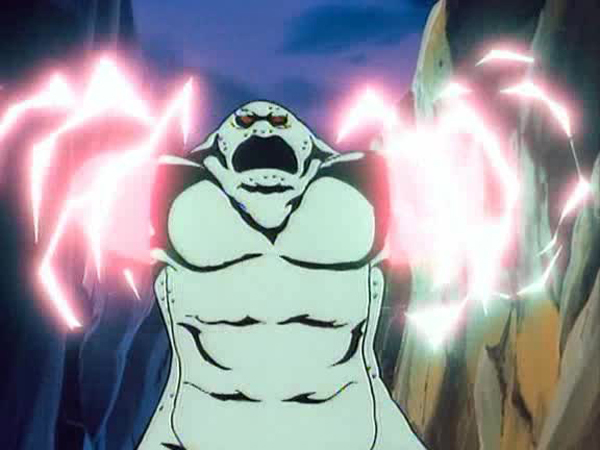 The only hint of the monster’s creation is given by the ThunderCats who suspect that it might be a weird plant mutation caused by the tremendous pressure which built up when New Thundera was forming. 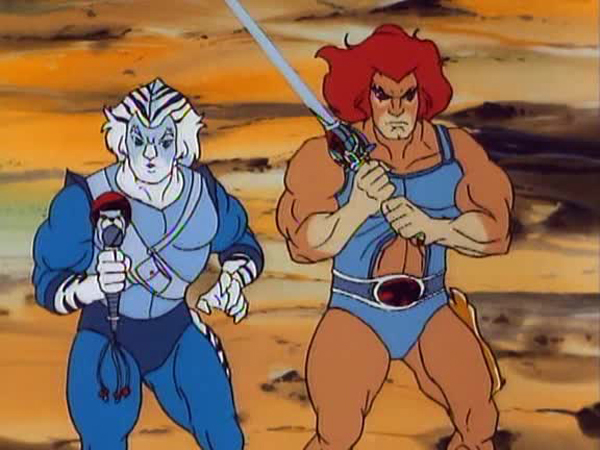 Trengove brings further variety into the episode with the unlikely tag team of Lion-O and Bengali as well as making Tygra’s immaturity and impetuousness the catalyst for the story’s events instead of the usual suspects, the ThunderKittens. 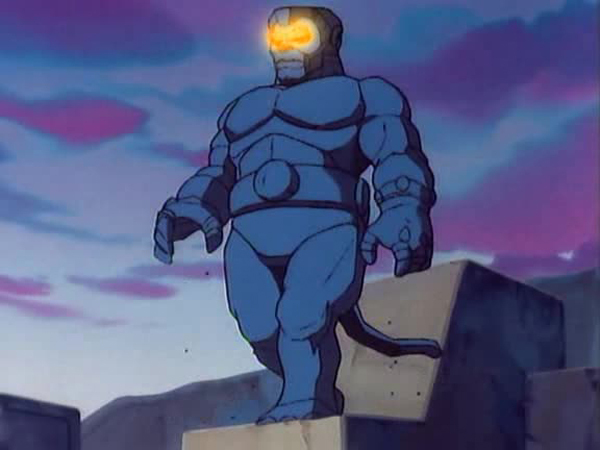 Finally, having the Stone Giant, instead of Lion-O or any of the other ThunderCats save the day, is another refreshing sight. Despite being mostly action oriented, the beautifully animated and carefully choreographed fight sequences keep the excitement levels high throughout the episode, making it a treat to watch over and over again. 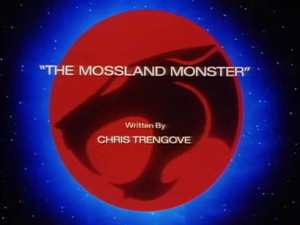 Throughout the episode, the Mossland Monster is referred to by various humorous names by the ThunderCats including “Overgrown Zucchini” and “The Jolly Green Giant”. 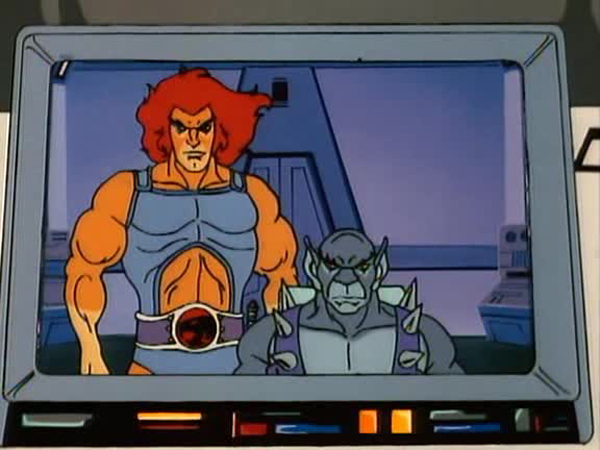 Jaga’s advice to Lion-O – “Send a giant to beat a giant” – echoes a line spoken by Lion-O in “The Ghost Warrior” when he says, “We fight a ghost with another ghost”. 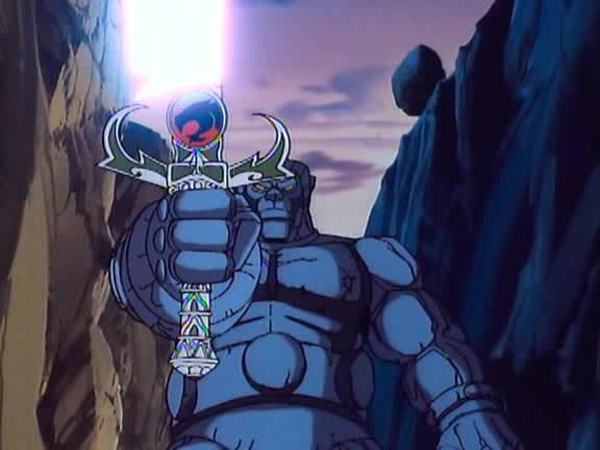 When Lion-O throws the Sword of Omens to the Stone Giant, it grows in size to match the size of the giant. 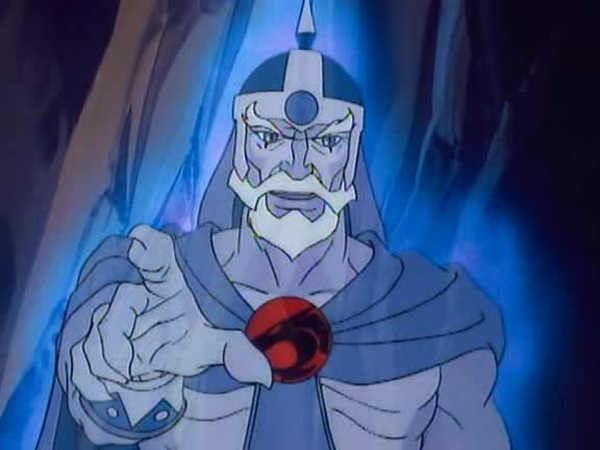 Similarly in “The Ghost Warrior”, when Lion-O throws the sword to the gigantic spirit of Jaga, it also grows to match him.